This beginner level triangle scarf uses just 1 stitch and 1 row repeat! 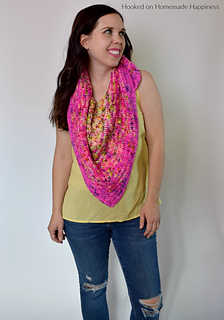 The HDC All Day Triangle Scarf Crochet Pattern is an easy level scarf and works great with a fade or as a solid color. You may not sell or claim my patterns as your own. 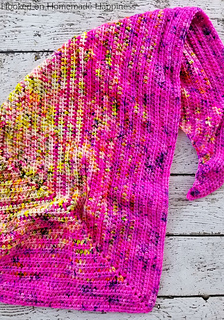 You may sell finished products made from my patterns, but please link back to the post and give credit for the pattern.